As New South Wales sweltered today, extreme heat and winds whipped up a firestorm in the state’s north. 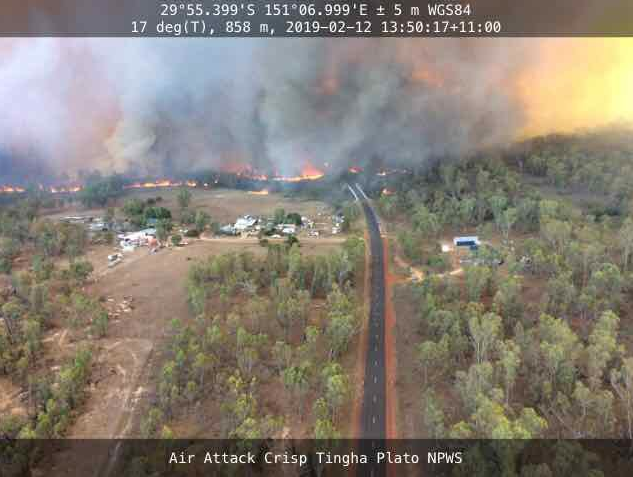 There are emergency warnings in place for fires burning near Tinga, south of Inverell, and at Tabulam… with residents told it’s too late to leave. There’s also a number of Watch & Act fires burning, including one at Freeman’s Waterhole at Lake Macquarie.